My niece Gillian arrived last week! Her parents opted not to find out the gender (which I'm in favour of....personally), so I decided to wait until the little darling arrived before I got to work on baby gifts. The next few posts will be covering all the goodies I managed to throw together in a few days. Starting with another onesie dress and matching headband. 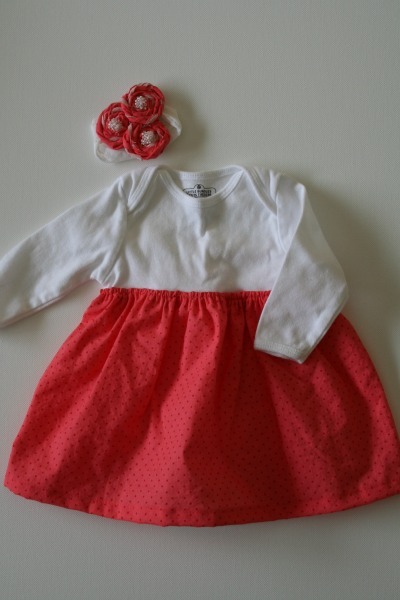 These dresses are so simple and quick to make. Find the tutorial here. 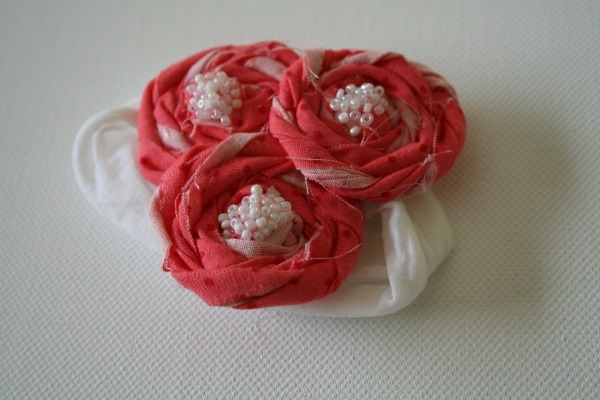 Because I was in a hurray, I didn't take step-by-step photos of how to make these matching rolled fabric flowers. Fear not, it won't be the last time I make them! ...and how easy they are to photograph!